Isco is right. They can question his method, debate if it is appropriate to send that message on social media, but what Isco claims is unquestionable: he has not had the same opportunities as his teammates and here, the numbers speak for themselves. Since the arrival of Santiago Solari, Isco is the 21st player in the squad in terms of minutes played. Only Jesus Vallejo, Mariano Diaz and Brahim Diaz have played less than him, and the first two have been injured for two months. So, he does not lie when he says he does not have the same opportunities as his teammates. It is argued, by those who attack the 26-year-old and defend the position of Solari, that he is out of shape. Apart from not being true, that theory fades away when we see Marcelo on the pitch. There is no player in the Real Madrid squad that is in worse shape than the Brazilian, but he still gets minutes. He played 90 minutes at the Camp Nou, although everyone saw that right now he shouldn’t be playing at Madrid. Solari, however, is determined to recover Marcelo‘s form, since he is still one of the world’s best left-backs when he is fit. He has made a mistake by setting Isco aside just because he simply does not like him. 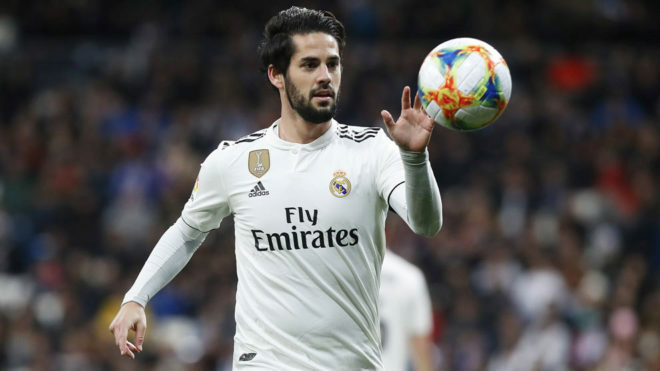 No one believes Solari‘s argument that he has no personal problem with Isco, whose performances have always generated debate. Some people fall in love and others think that he does not fit in the philosophy of Real Madrid. Both opinions are legitimate and it is clear that Solari is one of the standard-bearers of the latter, but Isco is not just another player and saying that other members of the squad have played more than him due to sporting reasons is very strange. The difference in ability between Isco and Dani Ceballos, for example, is not one of nearly 500 minutes, as has been the case this season. There is no way to explain why a footballer of his talent – a winner of four Champions League trophies and a key component in the Spanish national team – does not play at all, bar because the coach having a personal problem with him. Solari knows it and does not dare to say it; Isco also knows and is willing to say it. Tired of being attacked by everyone, the Spaniard has decided to defend himself.